Dermatologist Dr Martin Wade BMed Sci, MB BS, FACD is a hair loss and scalp expert who specialises in hair loss in women and men and children and scalp conditions. As an Australian trained Dermatologist he is experienced in diagnosing and treating skin cancer through his time with major Australian melanoma units. 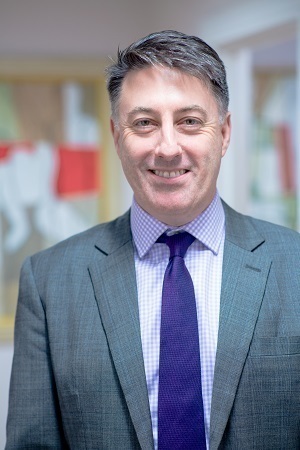 Dr Martin Wade is also able to consult on all general dermatology and has special interested in acne, and general skin health and cosmetic dermatology. His NHS post is with King George Hospital and Queens Hospital where he is the Educational Lead for Dermatology and the skin cancer MDT Lead. As well as being an experienced Dermatologist, Dr Martin Wade is very easy to talk to, making complex medical diagnosis and treatment plans easier to understand. Dr Wade understands the emotional toll that hair loss can have and he offers a safe and comfortable environment to put patients at ease. While Dr Wade offers treatments based on clinical evidence and good medical practice, he works closely with an experienced Trichologist, and Senior Clinical Psychologist to provide a truly integrated service to his patients which is unique in London. Many of Dr Wade’s patients are word of mouth referrals from patients who have recommended him to their family or friends based on their positive experiences. Dr Martin Wade is a hair loss expert who specialises in hair and scalp conditions including male pattern baldness, female hair loss, alopecia, alopecia areata, androgenetic alopecia, scarring alopecia and Lichen planopilaris. Dr Wade uses the Canfield Stereotactict device which is the global standard for clinical hair photography for diagnosis and monitoring of treatment. Dr Martin Wade sees and treats women and children of all ages suffering from hair loss. He offers treatment options including intralesional triamcinolone (steroid injections) and Diphencyprone (DCP) sensitization for alopecia areata. As an Australian-trained Dermatologist, Dr Wade is experienced in treating skin cancer and melanoma (including early detection and prevention). He performs full skin assessments and mole checks to diagnose malignant lesions and skin cancer. As an experienced dermatology surgeon Dr Martin Wade can perform cryotherapy, skin biopsies, cautery and curettage and photodynamic therapy (PDT) which is suitable for some times of skin cancers. Dr Wade also consults on all General Dermatology including the diagnosis and treatment of acne, rosacea, psoriasis and eczema. Dr Martin Wade also has a cosmetic dermatology clinic at London Real Skin which you can read about here for treating acne scarring, pigmentation issues of the skin, and for personalised skincare and skin treatment regimes to promote healthy, brighter, clearer looking skin. Dr Martin Wade is registered with the General Medical Council (GMC) and on the specialist register for Dermatology. Dr Martin Wade is a member of the British Association of Dermatologists, the Royal Society of Medicine, a Fellow of the Australasian College of Dermatologists, an International Member of the American Academy of Dermatologists, an International Member of the American Society for Dermatologic Surgery, and a member of the British Hair and Nail Society. Dr Martin Wade is recognised by all UK private health insurers and many international private health insurers including BUPA and AXAPPP. BUPA and AXAPPP patients are advised that these insurers do not cover the cost of clinical photography used for hair and scalp conditions and so patients will be liable for this charge. All other UK private health insurers cover this charge. Dr Martin Wade studied at the University of Tasmania and was appointed a Research Fellow at the department of Dermatology in St Vincent’s Hospital, Melbourne. He completed the four year Australasian College of Dermatology training program including a one year Specialist Registrar in Dermatology position at St John’s Institute of Dermatology in London. Dr Martin Wade regularly attends leading Dermatology conferences including the Annual American Academy of Dermatology in order to stay abreast of the latest research and techniques in medical dermatology. Wade MS, Sinclair RD. Disorders of Hair. In: Parish LC, Brenner S, Ramos-e-Silva M.(eds) Women’s Dermatology: From infancy to maturity London: Parthenon Publishing Group 2000;14:126-59. Wade MS, Sinclair RD. Disorders of Hair in Infants and Children. Clin. Dermatol. 2002;20:16-28.